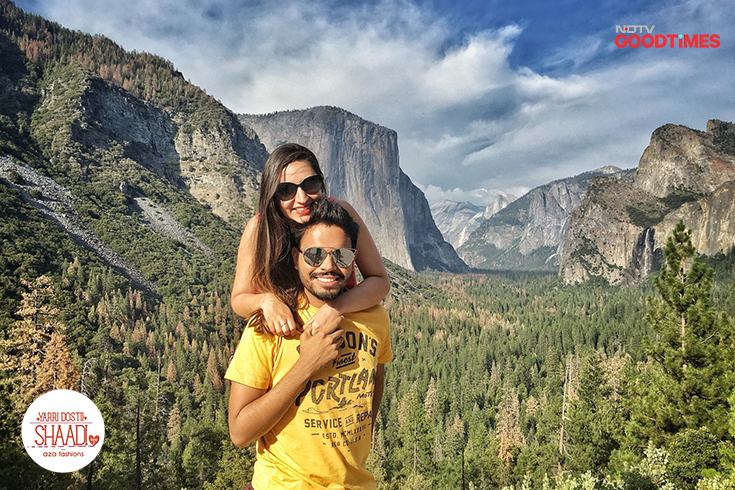 Ankit saw Anvita for the very first time at a friend’s house party in Los Angeles and was blown away by her dynamic personality. 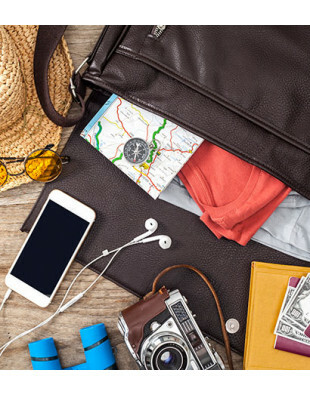 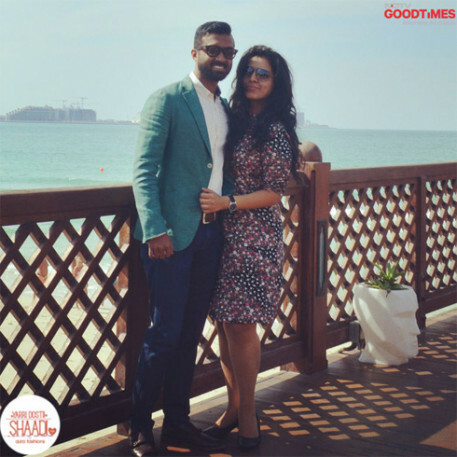 He immediately devised a fool proof plan to ask her out- a date, disguised as a visit to the mandir and if all went well, the beach and a coffee shop was just next door. 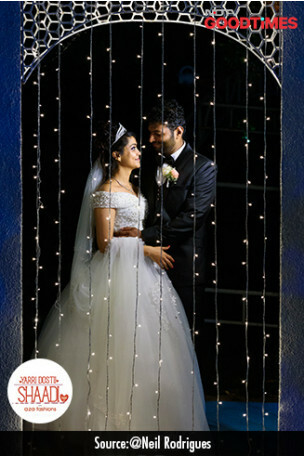 All did go well! 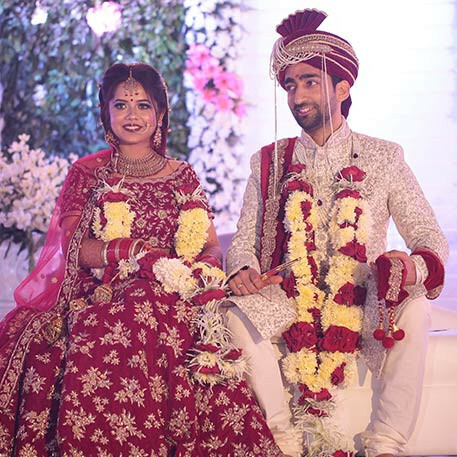 After their mandir date, Anvita and Ankit became very close friends. 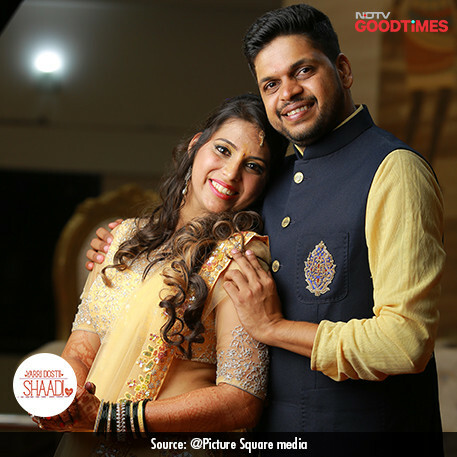 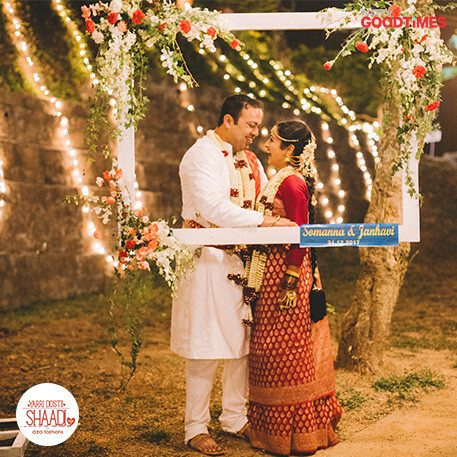 When Ankit’s family started looking for a life partner for him, it was a now or never moment for him and he popped the question to Anvita. 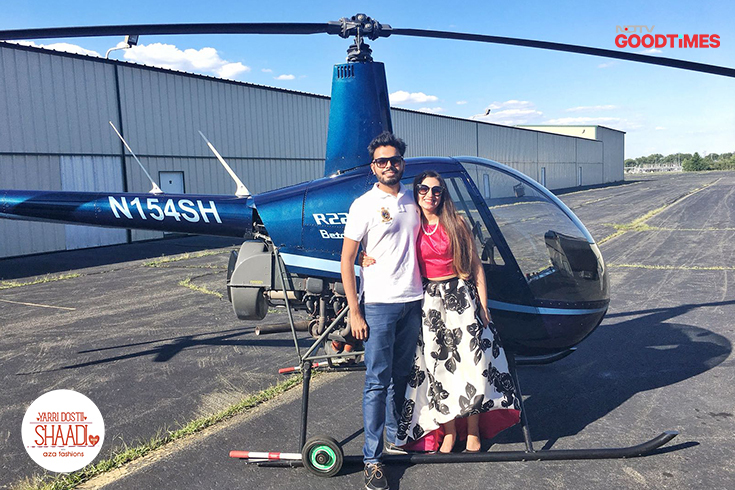 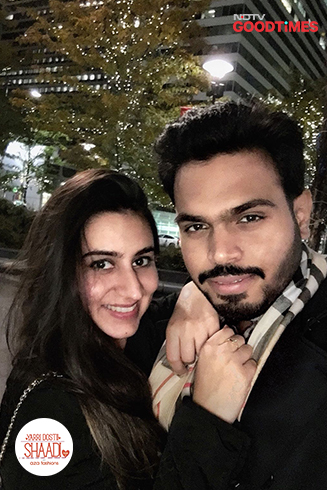 On Anvita’s birthday, Ankit surprised her with a chartered helicopter ride on which he proposed marriage. 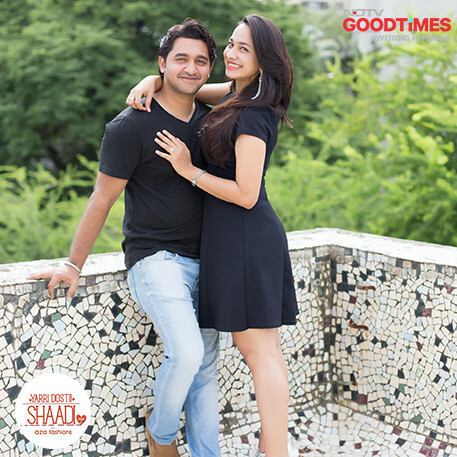 And of course, she said yes! 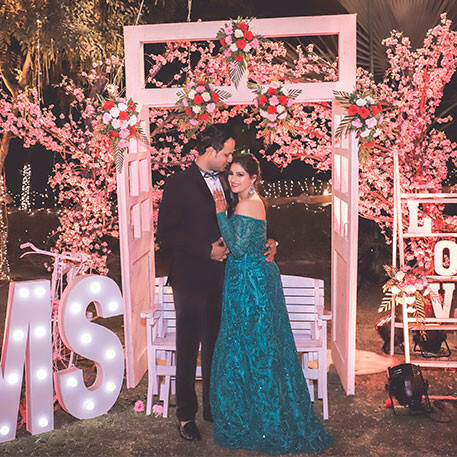 How can our couple’s wedding be complete without beautiful outfits from Aza? 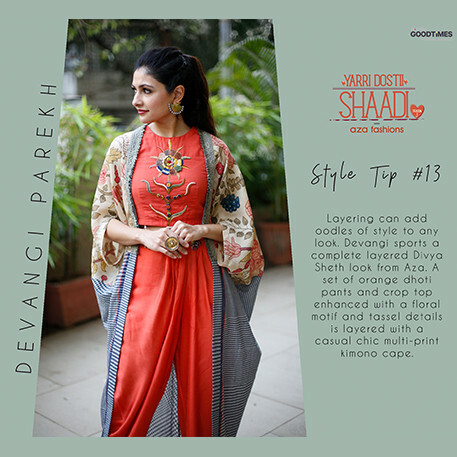 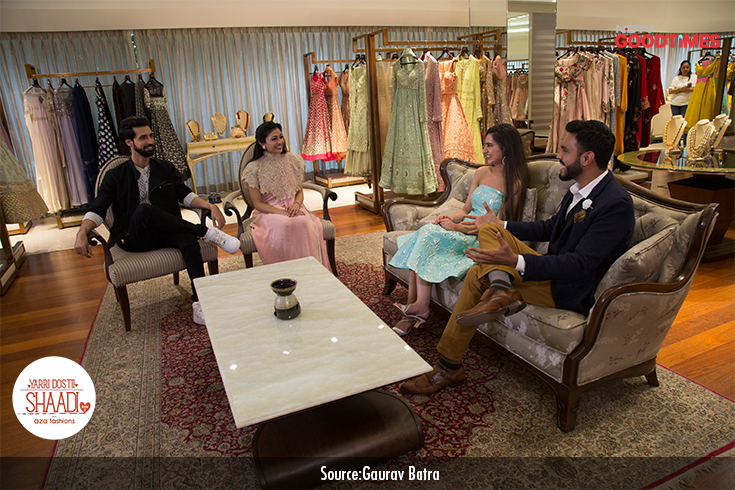 Our chief stylist, Devangi Parekh helps Ankit and Anvita select their Sangeet outfits before their big day. 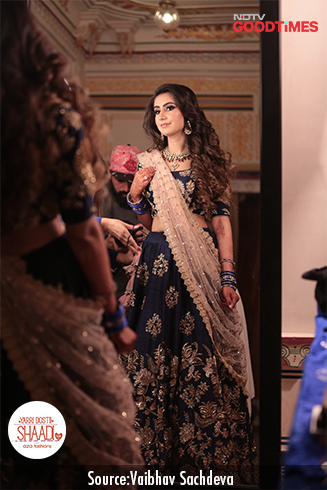 Looking drop dead gorgeous in her Aza outfit, Ankita soaks in her look before heading towards the sangeet venue. 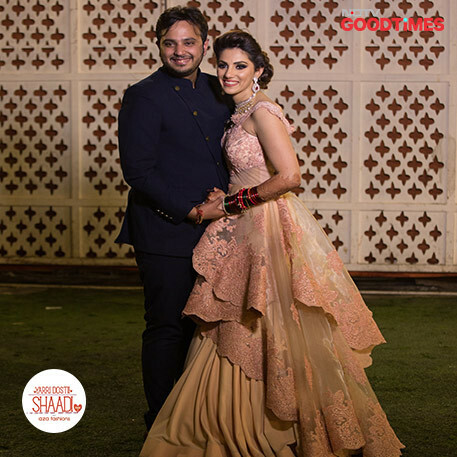 Anvita and Ankit flaunt their Aza outfits, while looking stunning together. 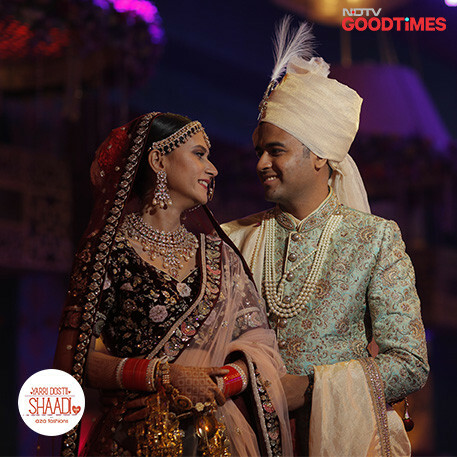 Their glamourous outfits match their glitzy Bollywood theme. 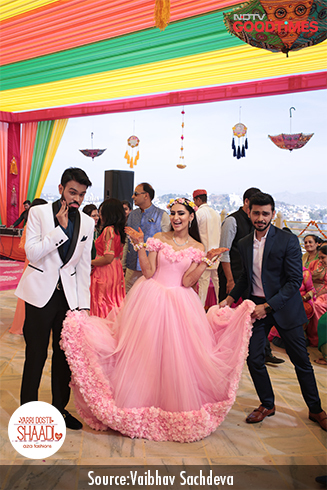 At the mehendi, Anvita, Ankit and his brother Aman bring out the drama queens in them while posing for a picture. 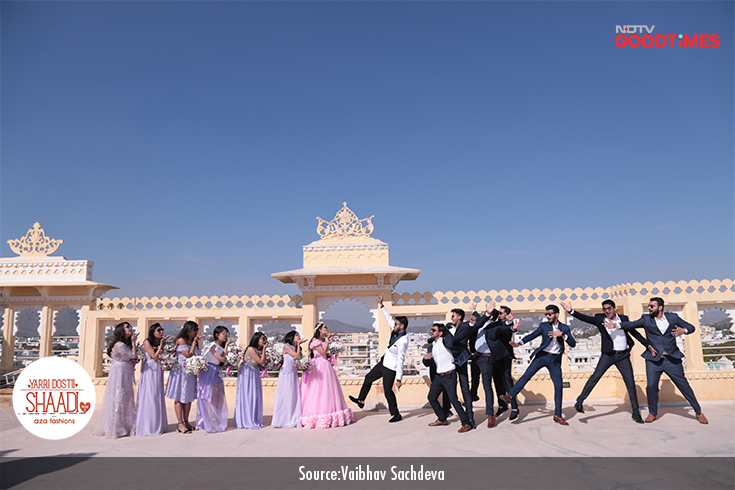 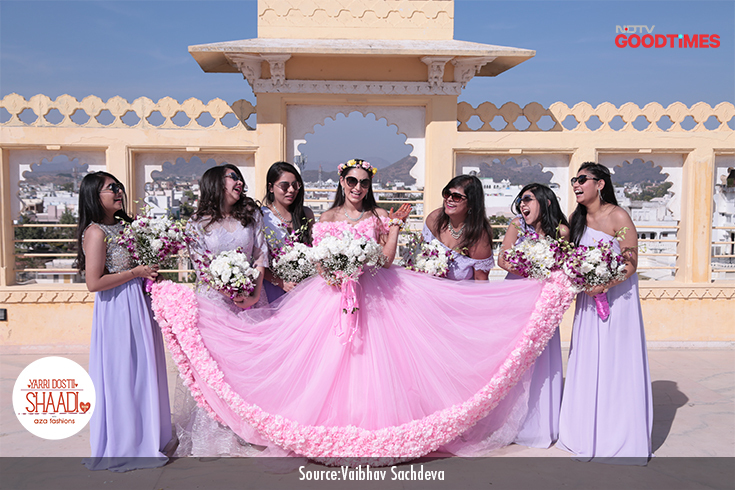 Anvita and Ankit strike a pose with their gang of family and friends against the picturesque backdrop of a palace in Udaipur. 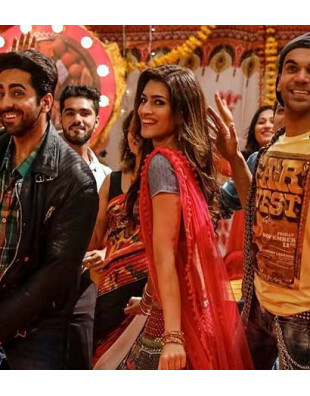 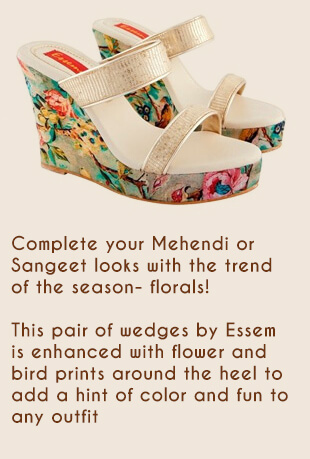 The mehendi takes a fun turn when Anvita and Ankit are made to play the infamous “wedding shoe game”. 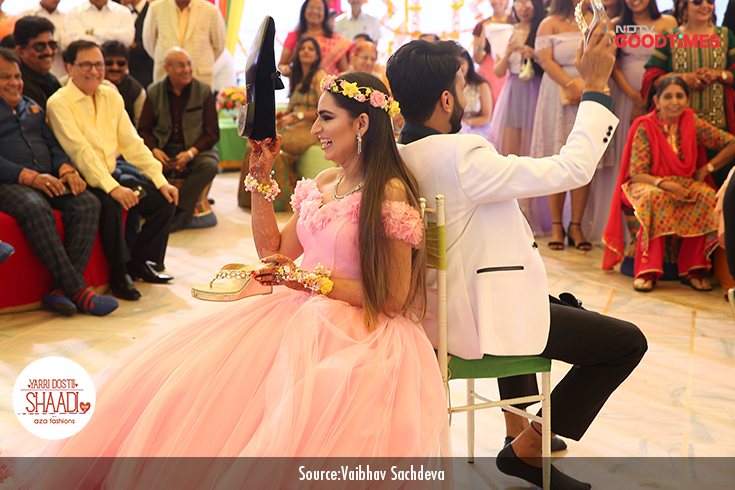 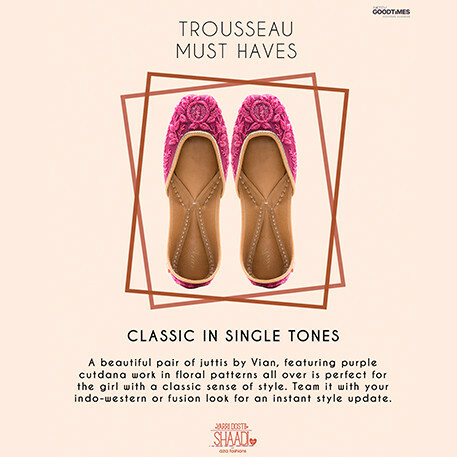 The bride & groom are asked fun questions about each other, and they must raise the bride or the groom’s shoe to indicate which of them best fits the description or the question asked. 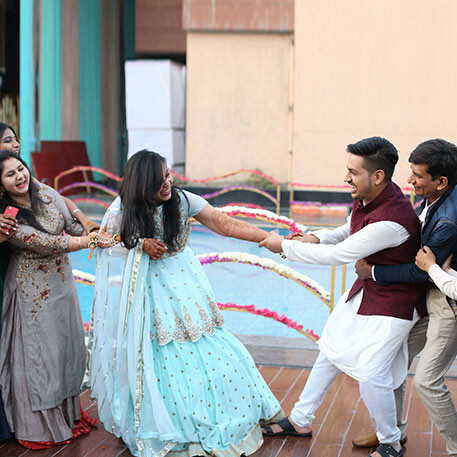 Ankita shares a light moment with her bridesmaids and bids adieu to being single before finally tying the knot with Ankit. 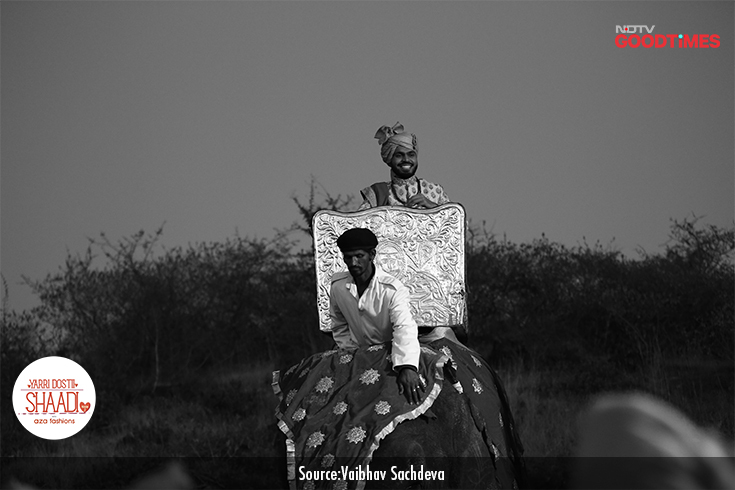 Since the wedding is happening in a palace in Udaipur, Ankit decides to bring out the king in him by arriving on an elephant during the baraat. 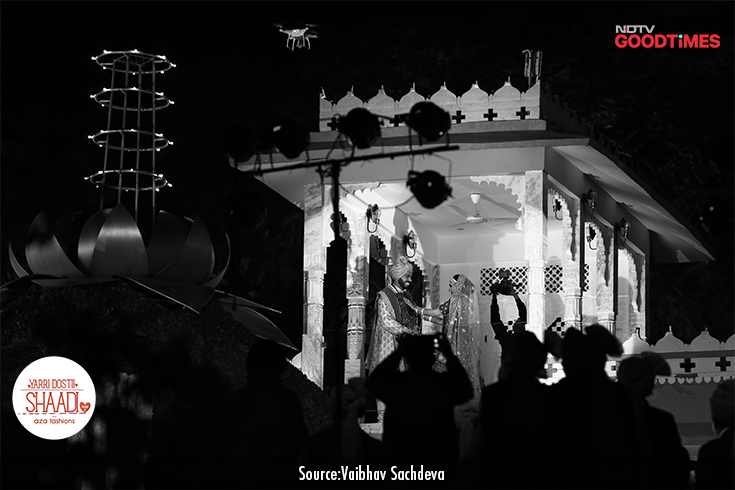 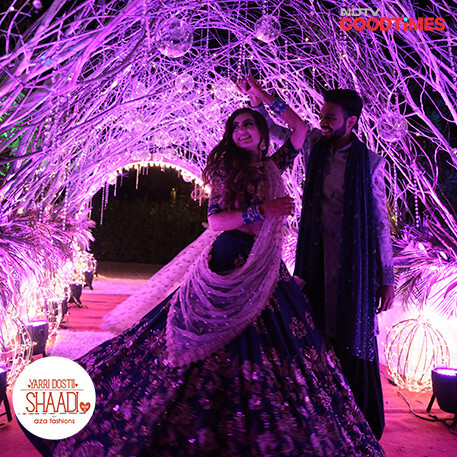 Amidst fireworks, standing in a royal balcony, Anvita and Ankit exchange their varmalas and mark the beginning of their married life.